We’re about a week off from being in Ireland for an entire year. Our visa, called a GNIB expires one year after it was issued. 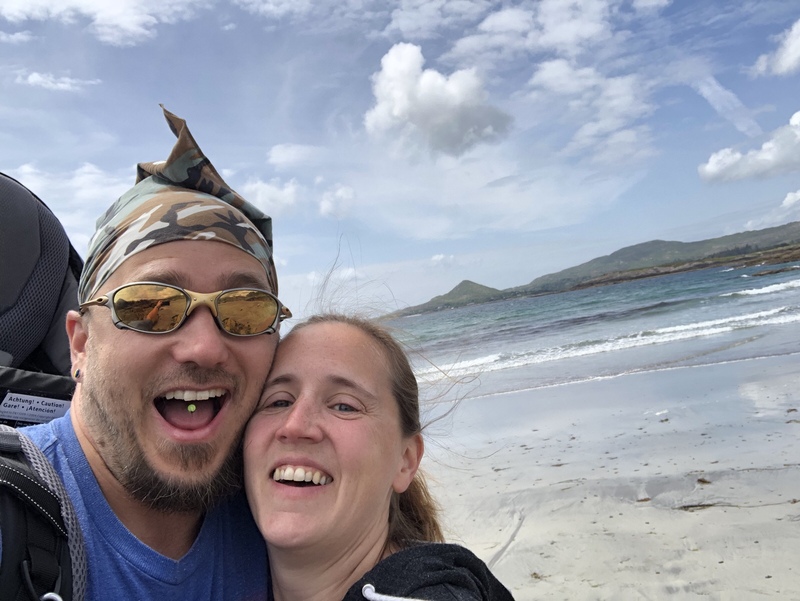 Math says we’re up for renewal soon and we have a London trip planned next week where we’ll be coming back to Ireland after GNIB has expired – dealing with that does not sound fun. Michelle’s spent a few weeks trying to get us a GNIB appointment with no success. To book an appointment you have to check a web site a few times a day when they release appointments and book it before anyone else does. Michelle found a few applications for tracking the site in real-time and was still unsuccessful booking an appointment. Reading the comments on one page Michelle found someone who said he’d book an appointment for 25€. Michelle contacted him and a few hours later we had an appointment for the day we wanted. No clue what the secret is, but 25€ is cheap to be done with the stress of booking. Our child minders were late and out of communications range when we needed to leave for our appointment so we took all of the kids. On the way to the LUAS Michelle was not feeling well at all. At the stop she started to feel worse. Then she needed to go back home to vomit. The kids and I got on the train to go without her and let her catch up. As the doors closed It dawned on me, she had all of the paper work. Off the LUAS we got to walk back home and get the papers. Michelle met us on the walk back saying she would power through. 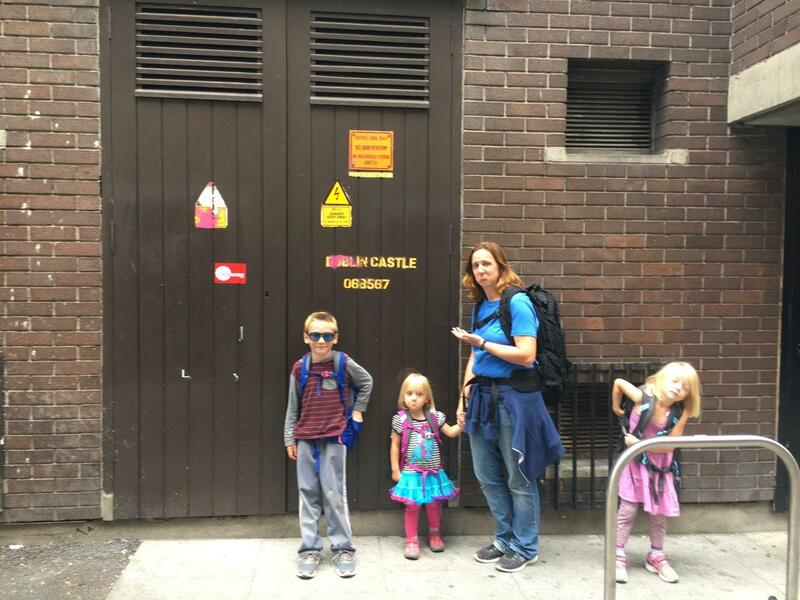 Michelle and the kids carried on to the GNIB building while Maddex and detrained at Stephens green to pick up some food for the kids. We told them they could have McDonald’s for dinner. Mcdonalds has a line out the door and Burger King had a line locked in time not moving. 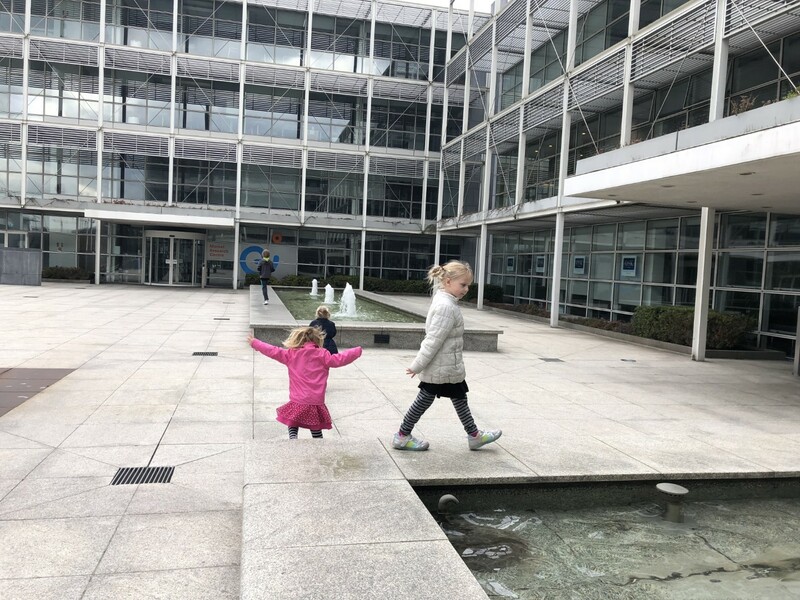 – Maddex and I called it | No food the kids, and walked to the GNIB office. We checked in as soon as we arrived at the office, an hour a half later and 600€ less in our bank account we’d completed the process. Kids were well-behaved, but we could tell they were becoming more tried by the minute. We rushed home, feed them lucky charms for dinner then put them to bed. What a day. Maddex in the all UV light toilet at the GNIB office. We told the kids we would feed them McDonald’s during the immigrations appointment and we failed them. Next day we had to pay them back with Mcdonalds, so we walked to Carrickmines and got them each a happy meal. We ate on the grass across the street from the Mcdonalds in the shade.